I have recently turned into a huge raisin fan. I purchased a container of them, and noticed on the packaging that it’s best if they are refrigerated. I thought it strange, but put them in the fridge anyways. I went to have some for a snack later that night, and OMG are they addicting when they are cold! Now, while raisins by themselves taste pretty awesome, they are obviously better when they are in a cookie :). These Oatmeal Raisin Cookies were inspired by the one printed on the Quaker oats container. The biggest changes are that this recipe uses less sugar and extra light olive oil in place of the butter. Hope you enjoy this healthier version! These cookies are a healthier version of the recipe found on the Quaker Oats container. Serve with a cold glass of milk. In a large bowl, cream together extra light olive oil, brown sugar, and granulated sugar. Add eggs, vanilla, baking soda, kosher salt, and cinnamon. Mix until incorporated. Bake for 8-11 minutes or until light golden brown. This cookie did not flatten for me, like my cookies normally do. To get around this, at about the 7 minute mark, I took the cookies out of the oven, flattened them with the bottom of a Mason Jar, and then stuck them back in the oven for an additional 4 minutes. I love oatmeal raisin cookies! I have never made them on my own so I’ll have to try this recipe. Delicious and easy.. like it ? 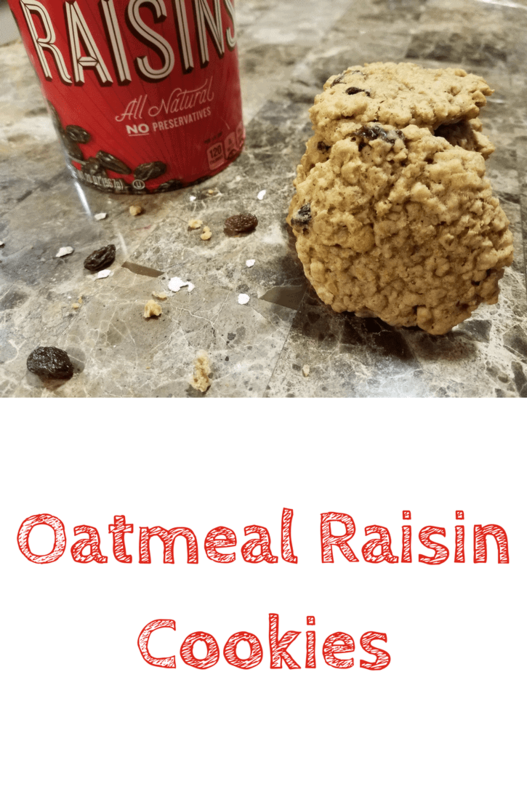 I’m not crazy about oatmeal raisin cookies primarily because I never liked Quaker Oats, but I love anything with raisins so I’ll be giving this easy recipe a go. I might even add some nuts and choc chips. Hmmn. I have had packed oatmeal cookies so many times and loved them. Never thought of making them myself… well until NOW! I like oatmeal resin cookies. Would love to try making them myself. The recipe looks easy so I will give it a try. Thabjs for sharing recipe. I like oatmeal resin cookies. Would love to try making them myself. The recipe looks easy so I will give it a try. Thanks for sharing recipe. I know that raisins are so good for us and they are also versatile. They can be used in so many recipes and are great for baking. I am a huge fan of Oatmeal Raisin cookies myself. These look yummy, and I love the tip about flattening them with a Mason jar. Oh my goodness! Oatmeal Raisin is my favorite! I pinned this post for later and will definitely be making these. U always see these on American movies but I’ve never actually made them. I definitely want to try them so thanks for the recipe, it sounds tasty! It looks tasty and the recipe seems easy to follow. Thank you for sharing this, I’m looking forward to baked on my own, and to play around with other ingredients on different nuts. 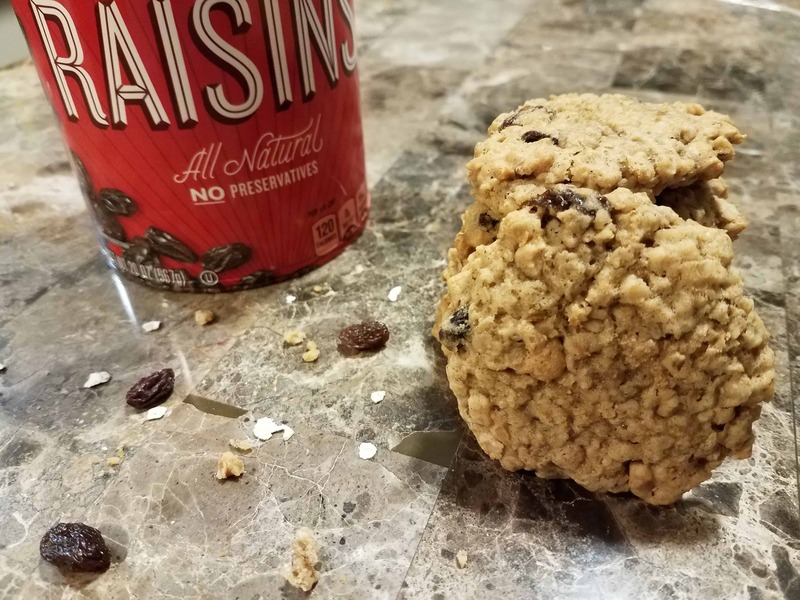 Oatmeal Raisin Cookies these looks quick and healthy …. will surely try them out… thanks for sharing!